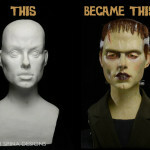 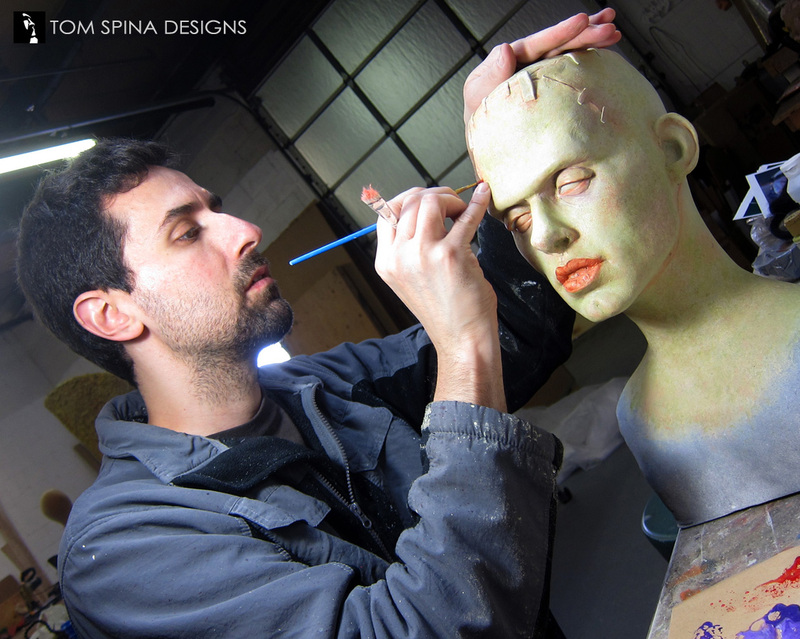 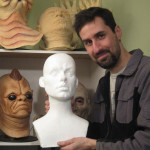 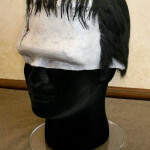 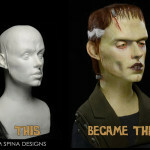 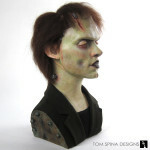 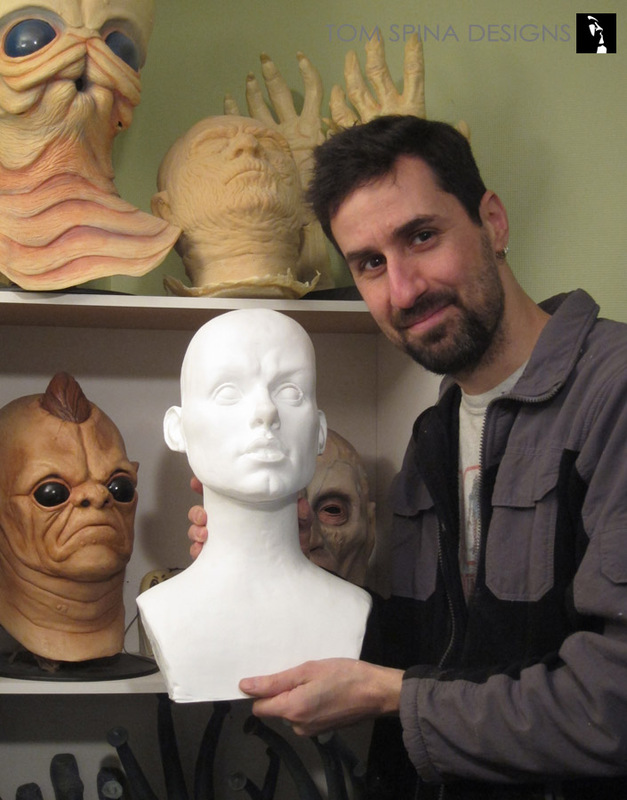 Our Bride of Frankenstein bust for the It’s Alive project! We were honored when we were asked to be a part of Mucklebones LLC’s “It’s Alive!” project, an art show and auction featuring 90 artists and raising funds for a great charity! 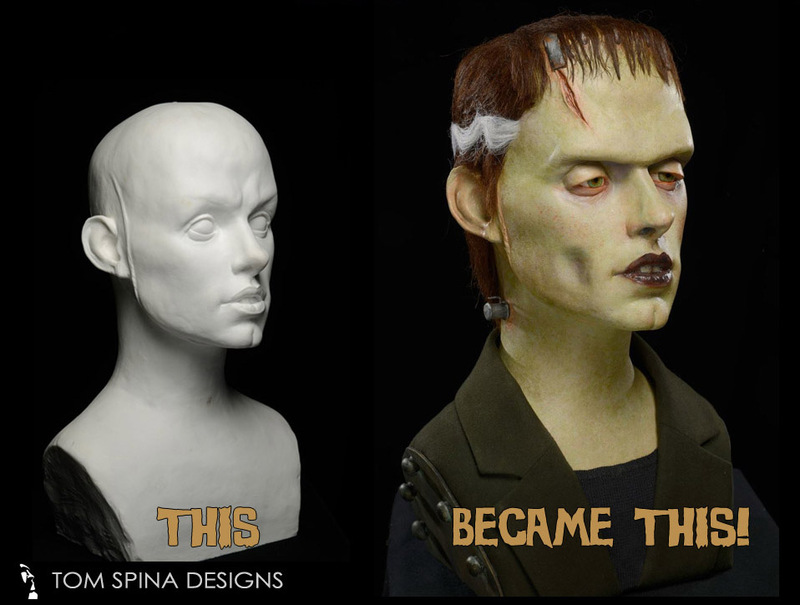 Presented with a beautiful Bride of Frankenstein bust by sculptor Daniel Horne, we were given creative freedom to dream up a new look for her. 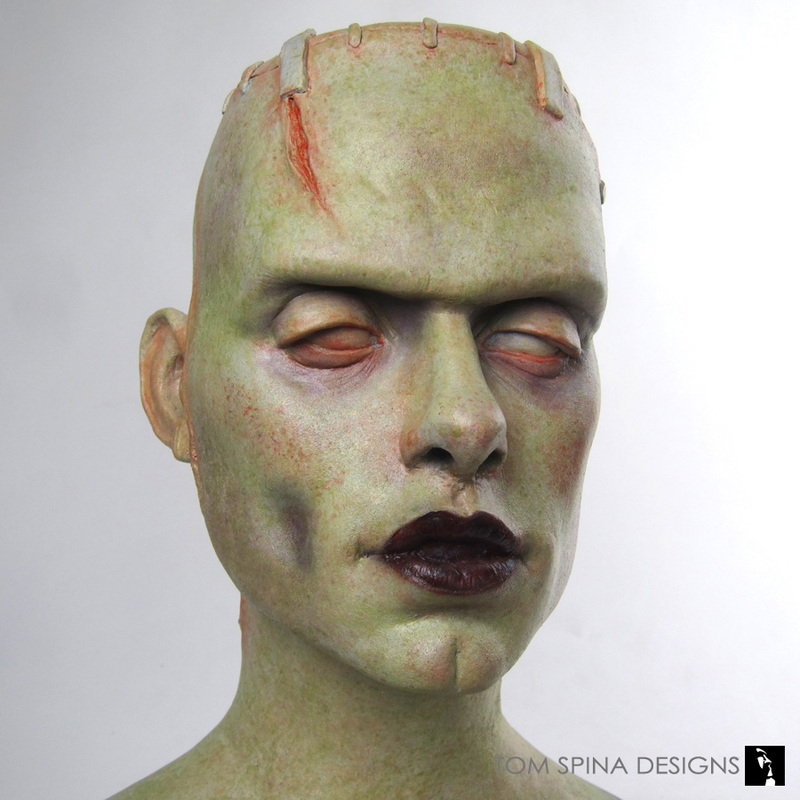 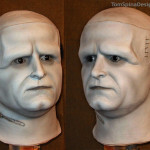 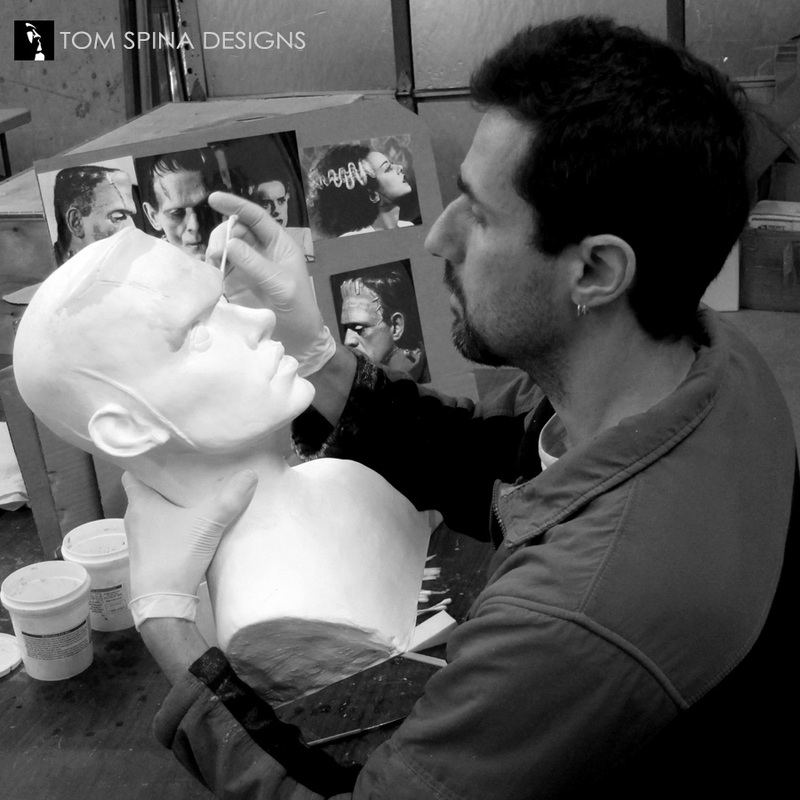 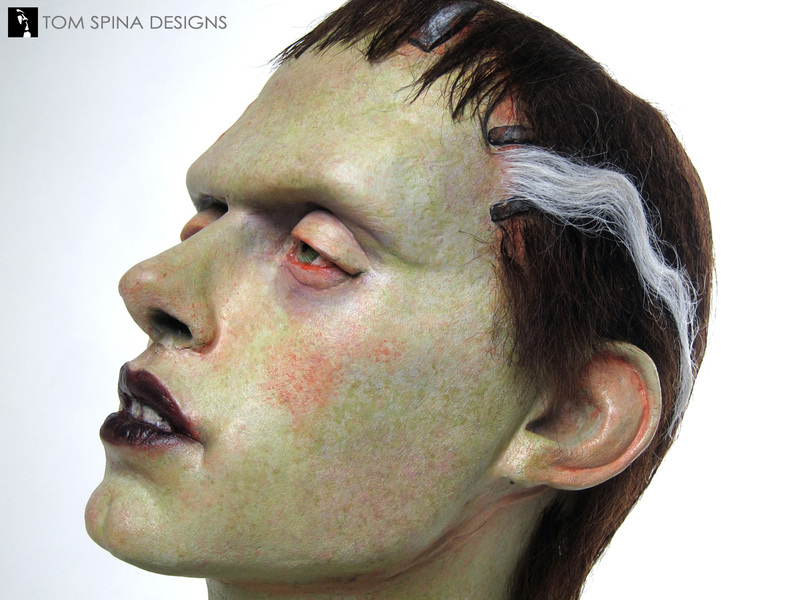 Tom’s a huge fan of Jack Pierce’s classic Boris Karloff Frankenstein makeup from the Universal Horror films, and wanted to see how the Bride might look with the Monster’s makeup! 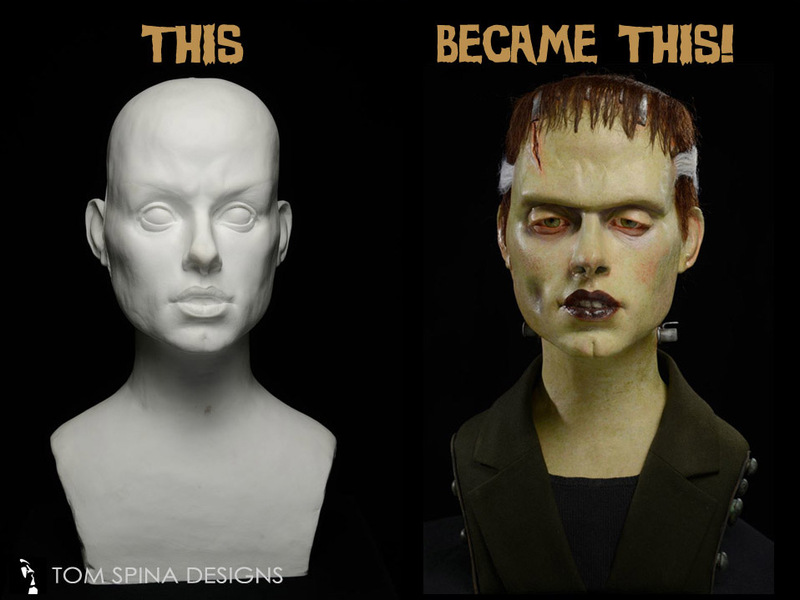 So we brought in elements like the flat-top head, the heavy eyelids, the stitches, clamps and neck bolts… even Karloff’s sunken cheek. 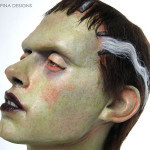 Then she was given a ghastly green paint job and careful hairwork, which included the Bride’s signature streaks, of course! 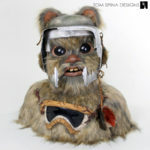 It was an honor and a lot of fun for a great cause, and we’re so glad folks bid generously on these great works of art! 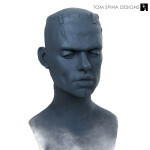 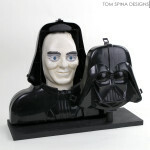 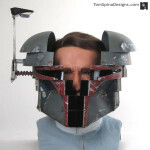 Are you looking for a unique art piece for you home, office, or man cave?